Malaysia is poised to achieve high-income status soon. A goal clearly stipulated in its vision for 2020. So far, it has the fourth largest economy in Southeast Asia and is ranked 38th in countries with the largest economies worldwide. With a population of about 32 million and an increasingly growing middle income class, Malaysia’s labor productivity is significantly higher than that of Vietnam, Indonesia, and the Philippines. It also has a high density of knowledge-based industries that adopt cutting-edge technology for manufacturing and improving the digital economy. Due to this, it has been ranked 23rd on the list of most competitive countries in the world between the 2017 to 2018 period. Malaysia’s growth in the FinTech industry is currently fuelled by a strong underlying market, improved business to consumer models, and increased mobile and internet penetration. Furthermore, its government provides tax incentives to tech-based businesses as part of their plan to encourage more productivity and innovation aimed at achieving an advanced economy status by the year 2020. They have identified three significant factors that are growing because of the adoption of FinTech. These include differentiation, cost reduction, and improved customer retention. Malaysia intends to create a holistic FinTech ecosystem and become the dynamic center of it. The blockchain and cryptocurrency market in Malaysia is growing at a rapid pace. The country is seizing all emerging financial technologies to improve banking and financial services. This includes blockchain. In fact, Malaysia’s central bank, Bank Negara Malaysia, hinted that it intends to integrate blockchain technology in its banking sector. So far, there is news that 9 banks have pooled their resources together to experiment with blockchain and whether it’s scalable in the industry. While there are certainly no specifics into the blockchain project that they wish to undertake, it shows the central bank’s approach towards the technology. Currently, more and more local shops are beginning to accept payment in Bitcoins. From small businesses such as burger stalls, restaurants, gold shops, and family-owned retail shops, to large retail giants such as petrol stations and taxi companies. They are all beginning to set up display signs indicating that they accept payments in Bitcoin. Crypto-enthusiasts interested in spending their Bitcoins are flocking to stores that accept cryptocurrencies. Many of the owners of these businesses would likely claim that the reason for their decision to accept Bitcoin payments was to appeal to a larger untapped market of cryptocurrency holders. Malaysia has not banned cryptocurrency use and seems to carry an optimistic approach towards the future of blockchain and cryptocurrency use in the country. However, despite the optimism, the country’s authorities are well aware of the potential risks that cryptocurrencies have on the economy of the country. That’s one reason why the country’s central bank has regulated the cryptocurrency sphere – to control potential criminal activities that may be facilitated through cryptocurrencies. On the 27th of February this year (2018), anti-money laundering legislation set up by the central bank came into effect. These legislations called for cryptocurrency exchanges to identify their customers as part of their AML procedures. All exchanges that offered cryptocurrency for cryptocurrency exchange, cryptocurrency to fiat money services, and vice versa where supposed to verify their customers’ identities before allowing trading to legally continue. To comply, traders were to provide specific personal information such as their full names, their NRIC (National Registration Identity Card) number, passport number, or any other official document bearing their image. They also had to provide their residential address, date of birth, nationality, and the purpose of the transaction. Gold mining production in Malaysia has averaged 0.48% every year from 2011 to 2018. The highest known record of production was reached at 16.20% in July 2013 while the lowest was -20.30% in May 2011. Mining production increased by about 1.8% in April of this year. The value of gold is very well recognized in Malaysia with physical gold bars and gold bullion made available in various Malaysian jewelry outlets and banks. Physical gold products include the Kijang Emas gold bullion coins. It’s stated that these coins contain 99.99% pure gold. They are minted in three denominations, a quarter of an ounce, half an ounce, and an ounce. Gold is a legal tender in Malaysia. Gold is mostly used in popular activities such as during weddings or during the festive seasons such as the Chinese New Year or Muslim festivals. Some people also tend to exchange gifts in gold during such times. 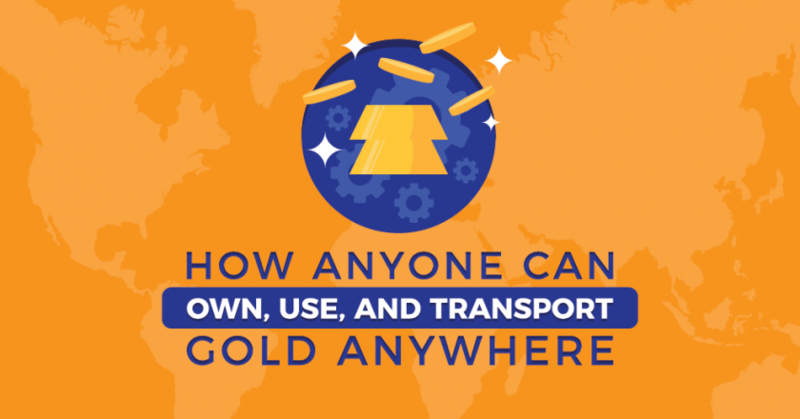 Gold is widespread in Malaysia and offered by several banks such as Maybank, CIMB Bank, Standard Chartered Bank, Kuwait Finance House, Public Bank, United Overseas Bank, and Citibank. Also, over 40 tonnes of gold is used in jewelry manufacturing in the country. Out of this, about 75% of it is exported to other countries. Gold is also used in various industries in the Malaysian economy such as in the creation of electronic chips due to its erosion proof and electricity conducting properties. The widespread availability of gold investment assets across major banks and jewelry shops indicates Malaysia’s appeal towards gold. The Malaysian economy is ripe for the growth of FinTech industries. The government has also provided several incentives to encourage the growth of such industries in the country as a measure to achieve its vision 2020 goal of becoming a high-income country. With such measures in place, the future of the blockchain, cryptocurrency, and gold industries in Malaysia is bound to flourish. 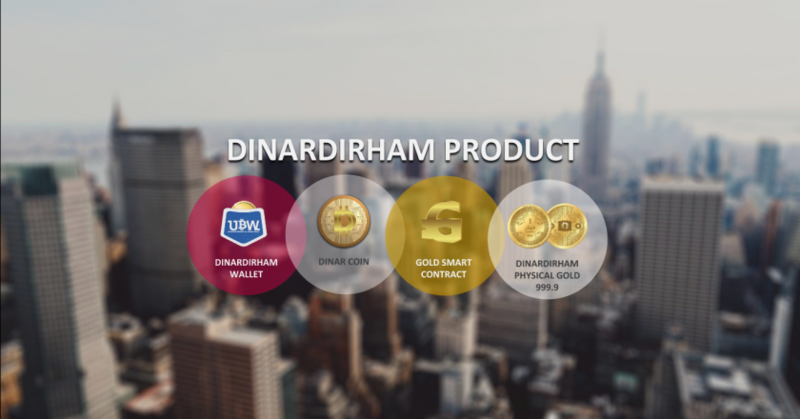 We at DinarDirham, have taken a step towards enabling this future and we have combined the value and investment aspects of gold with the speed and flexibility of the blockchain in our DinarCoins. 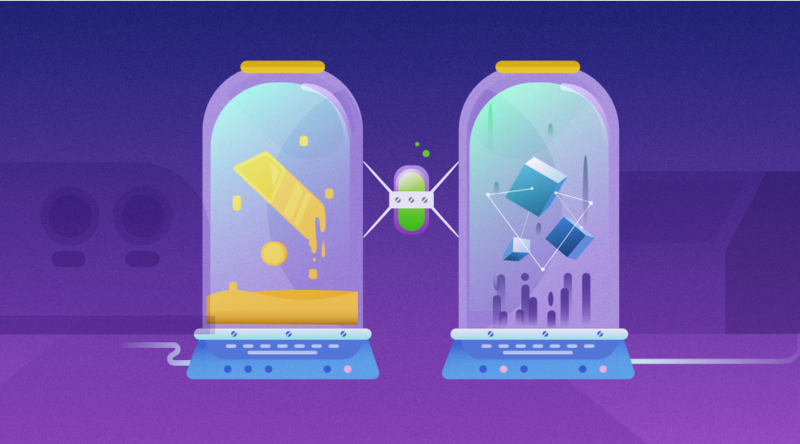 Our DinarCoins can be traded for Gold Smart Contracts which can, in turn, be redeemed for physical gold bullion at select locations. Currently, Malaysians or anyone else can take advantage of these opportunities. If you would like to learn more about our gold and blockchain based products, be sure to visit our official main website for more information.